We are the only lightweight scooter company in the UK that researches the global market to provide the best portable scooters for you to test and tryout in the comfort of your home. With so many mobility scooters on the market, choosing the right one for you can be a hard decision. Our business is to search worldwide to find the latest scooters that will suit your lifestyle. To make life easier we'll bring a selection to your home. That's right, a FREE NO OBLIGATION demonstration at the place you feel most comfortable. Call us today on 0333 414 1881 or fill out the contact form below. Feel, touch and ride our complete range side by side... which one would suit your lifestyle? 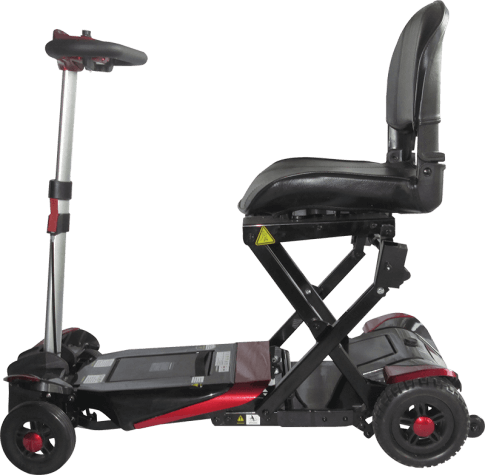 The SupaScoota is often talked about as one of the lightest mobility scooters to be equipped with an advanced electronic stability control system. Engineered for both performance and functionality, the SupaScoota is an incredible choice for the more adventurous traveller. With six versions available you can be sure to find the right SupaScoota to compliment your lifestyle. 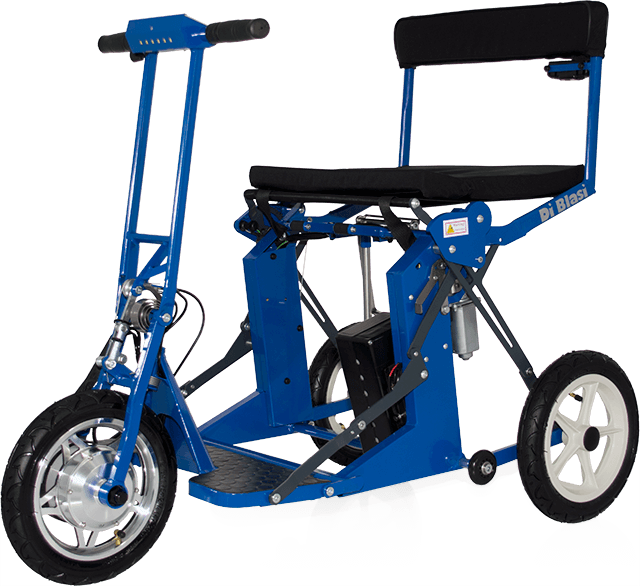 Introducing a revolutionary mobility scooter by Di Blasi. At the press of a button the scooter will fold away to the size of a suitcase, and by pressing again it will unfold. With its classic Italian design and featuring the first automatically folding chasis, Di Blasi are rewriting the rules of the portable mobility scooter market. 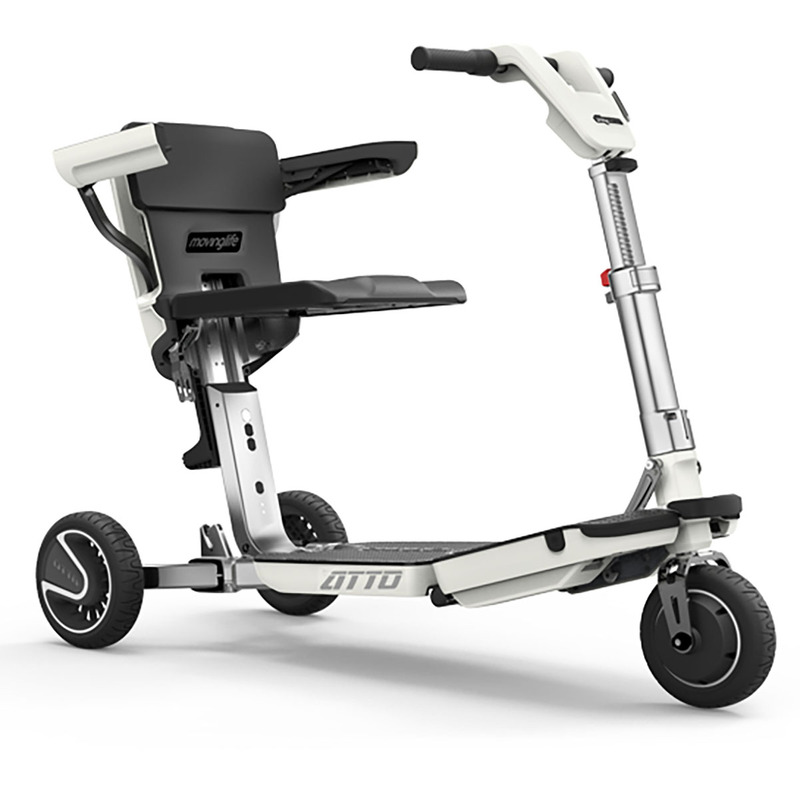 The ATTO portable mobility scooter has a vibrant design with top of the range features. It has a unique mechanism that allows you to fold the ATTO down to the size of a suitcase within a matter of seconds. To make it manageable to lift, it can be split into two parts. This also makes storage and transportation much easier too! 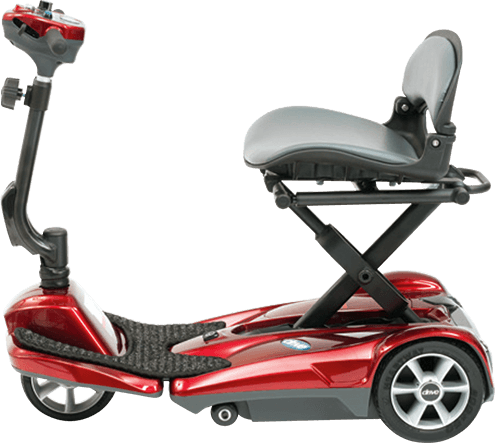 This is the latest addition to our lightweight scooter range, introducing the i3 mobility scooter. It's an excellent choice for those who want to continue living an active lifestyle - whether that's in the local area, day trips. or holidays abroad. It has been made from aircraft grade aluminium so is compact and lightweight enough to be used on all public transport including car, bus, aeroplane, train, and cruise ship. The Mobie mobility scooter is so compact and lightweight that you can use it almost anywhere. By folding away it can be taken with you when you travel on holiday, by airplane, train, bus or coach, or even in the boot of a small car. With no removable parts, the Mobie mobility scooter folds away in less than 5 seconds! 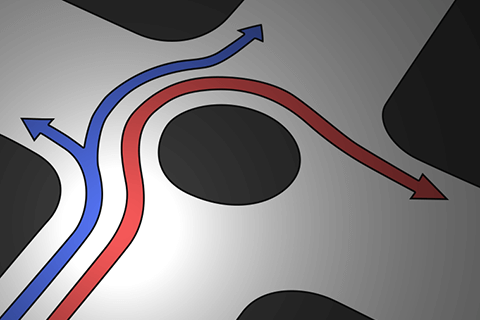 It can also be pulled along like a wheeled suitcase when not in use. The Minimo mobility scooter represents one of the most advanced, transportable designs that folds and fits into the boot of a car and requires no parts to be dismantled for storage. 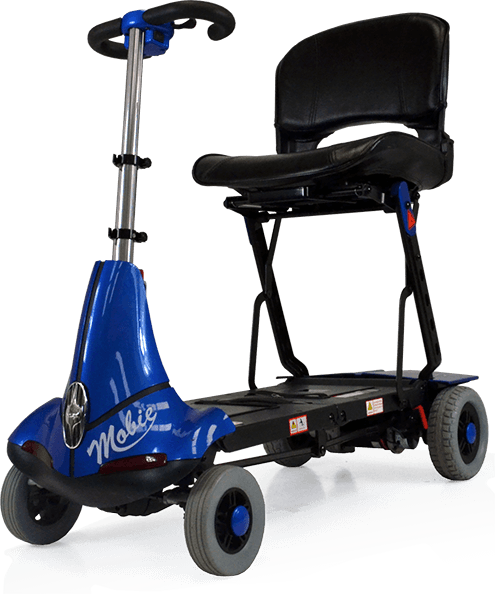 The Minimo is an ideal choice for individuals with restricted room at home or in the car. This radically lightweight, yet robust scooter combines the benefits of strain-free lifting for end users whilst providing impressive drivability and rider comfort. The Smarti is a compact & lightweight, automatically folding mobility scooter. Compact design makes this one of the easiest scooters to get in and out of a car-boot. Newly designed tiller and seat mean the Smartie is comfortable like a larger scooter whilst maintaining the compact easy to use design. 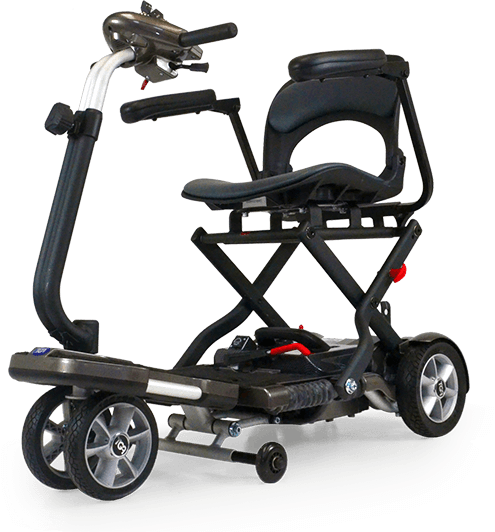 The Drive Folding Scooter can be easily folded and unfolded by remote control in under 20 seconds providing a quick and easy transport solution for users on the go. Enjoy a FREE home demonstration of some of the best lightweight mobility scooters, all without obligation. 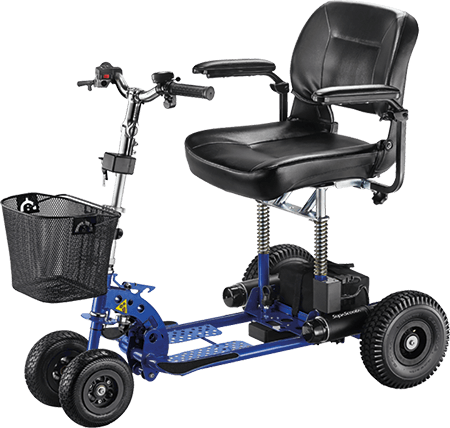 Or simply call 0333-414-1881 for your first step to independent and portable freedom. 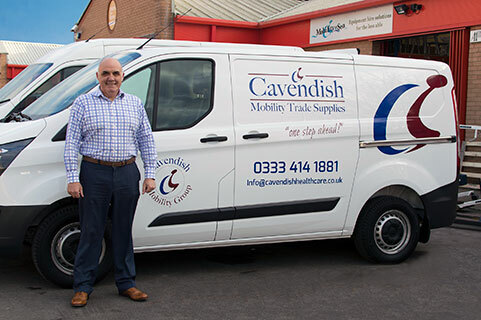 As the UK's most reputable "mobile" mobility scooter showroom, we offer a full range of portable mobility scooters to suit all requirements and budgets. 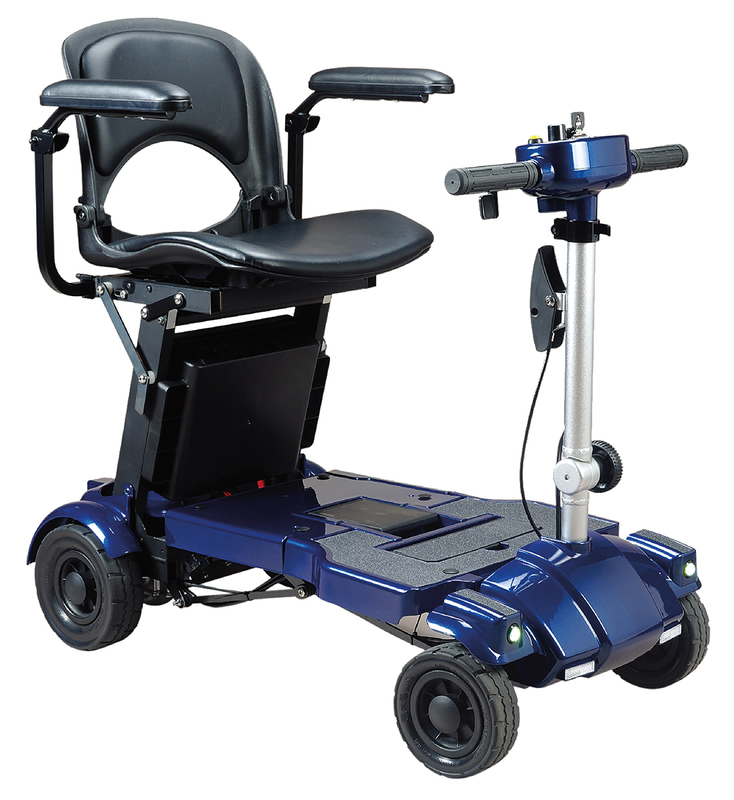 Your first Port-of-Call for Mobility Equipment at Sea! Which Battery Should I Use for My Lightweight Mobility Scooter? 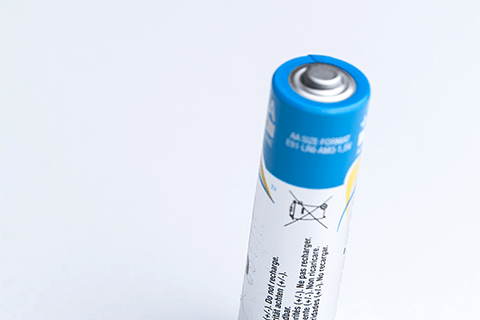 Latest information on the four main types of battery which can be used in your lightweight mobility scooter. 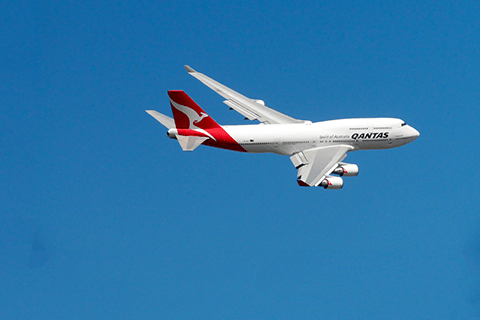 It's very important to note that all airlines may have different criteria and processes that must be followed. Do we need a Highway Code for Mobility Scooter Users? As users of mobility scooters, it's important that we all look out for each other, and are mindful of our actions. Our lightweight mobility scooters are making a huge difference all over the UK. To keep everyone of our valued clients mobile we offer a reliable and cost efficient service. So wherever you live we will be able to get an engineer to you to sort-out any issues regarding maintenance/services. This is your only opportunity to try our unique range of lightweight mobility scooters simultaneously in the comfort of your own home. Copyright © Rentascoota Ltd, registered as a limited company in England and Wales under Company Reg. No: 6511324. VAT Reg No: 929197285. Registered address: 4 Sudley Road, Bognor Regis, West Sussex, PO21 1EU. Any trademarks belong to their respective owners. Availability and prices may be subject to change without notice.